The Federal High court sitting at Lagos Judicial Division and Presided over by Justice Saliu Saidu had adjourned till April 11, 2019 for continuation of hearing on the corruption case against former Niger Delta Development Commission –NDDC Executive Director of projects Mr. Tuoyo Omatsuli over N3.6Billion corruption charges. In the last sitting, a witness, Eyo Basset Francis, a software developer on Wednesday, 27th of March, 2019 told the court that he received a total of N769.5m for doing no job from the ex- NDDC Director of projects. While admitting that he knew the first defendant, Mr. Omatsuli in 2014 as he owns an online platform as he engaged into imports and conversion into foreign currencies. In his testimony Mr. Eyo Bassey Francis said “He later called me on phone and told me that some money will be transferred to my account. I get initial sum of N80million transferred into Heritage Bank account (in two tranches’) of one of my companies, Asilachrrin Global Consulting Ltd. When the money was paid, I converted it to dollars as directed by the first defendant (Omatsuli). Narrating further, Mr. Francies told the court that N340million was paid into his company’s account in two tranches of N160million and N180millon as directed by the first accused. The money was quickly converted to Dollars at it came from star line consultancy services Ltd.
Quite convinced, Mr. Francis said” sometimes in January 2015, I also got a call from the first defendant telling me that I will be getting a payment from a company known as Building Associates, I later got an inflow of N349, 650,000 into Heritage Bank account of my account College -pro synergy Ltd. I was furnished with an account of a firm, Greenhouse investment owned by the Special Assistant on finance to the then NDDC’s MD to which I transferred N100million. The balance was converted to dollars as directed by Mr. Tuoyo. The EFCC prosecutor, Mr. Ekene lheanacho queried whether Mr. Francis executed any contract for the payments that he received from the companies aforementioned, he said “I never had any contract with star line consultancy services Ltd or business relationship with it. I never had any contract with Building Associates. 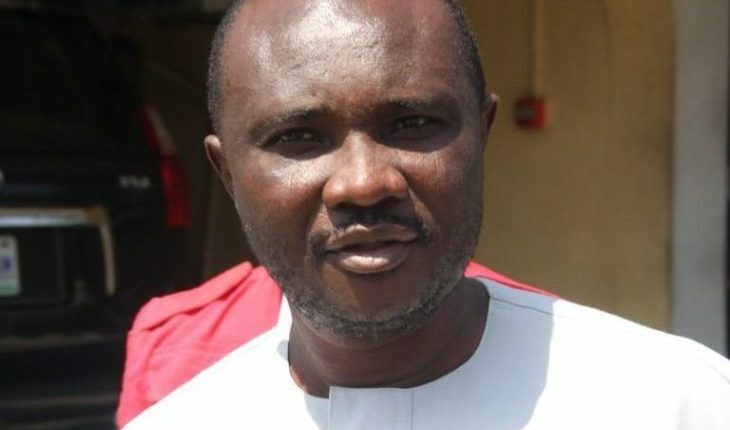 The defendant earlier pleaded not guilty on the charge preferred against him by EFCC, that alleged that he received N3.6B bribe from a contractor -star line consultancy services Ltd. He was charged along with Don Parker Properties Ltd, Francis Momoh and building Associates Ltd with 45 count charges which includes conspiring with others to disguise the illegal origin of #3,645,000.000 being proceeds of an unlawful activity to the corruption and gratification. According to EFCC, the alleged offence was committed between August 2014 and September 2015 which contravened section 15(1), 15(2), 15(3), and 18 of the money laundering prohibition Act 2011 as Amended by Act No 1 of 2012. The legal counsel to the first defendant (Omatsuli) Prof. Amuda Kehinde (SAN) cross examined the witness as he told the court that he did not transfer any money to Mr. Omatsuli saying ” I don’t have any documents on the instructions the first defendant gave me” As he also admitted that, he never knew what the money he was given were meant for.